Floor stands are strong, stable, and yet portable. All Aluminum construction provides easy assembly in minutes. Great for fast and easy graphic change outs. Load graphics facing out both sides. Floor stands are perfect advertising solution for high traffic areas. 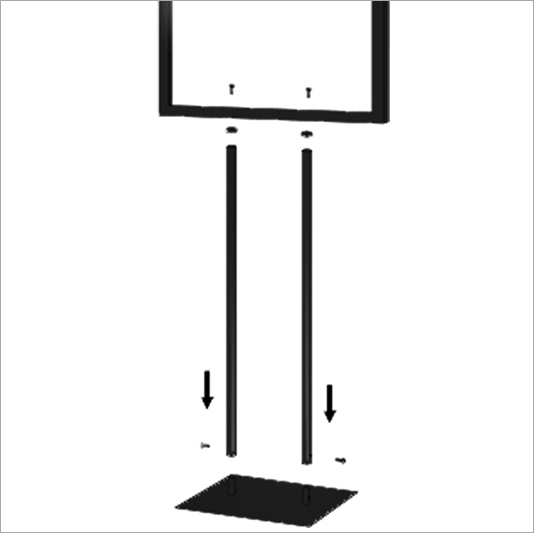 All floor stand display stand features a 1/4" top loading slot that accepts foam core boards and pvc signs. Find the style that best fits your need. Graphic size: 22”W x 28”H Double Sided. 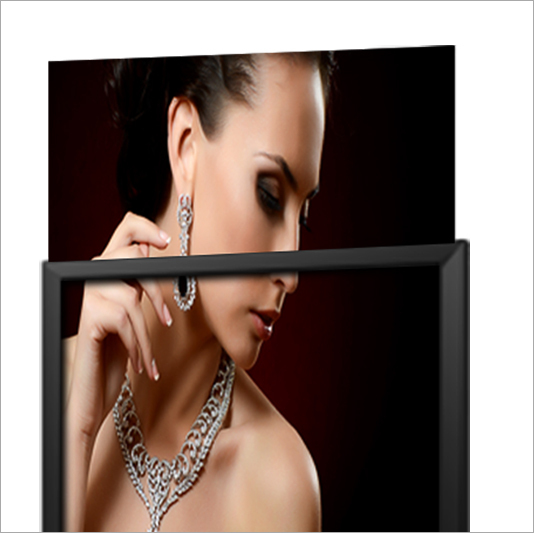 Graphic size: 22”W x 56”H Double Sided. Graphic size: 22”W x 28”H (2 Prints) Double Sided. Top slot for easy insertion. Ultra easy assembly, Trip free bottom base. Available in 3 different hardware styles. A display to match your every need.